WRC launches the international Road Photo Contest on Twitter for the best picture of highway, speedway, road, street by day or night time, color and monochrome. Post your photography. It’s free! 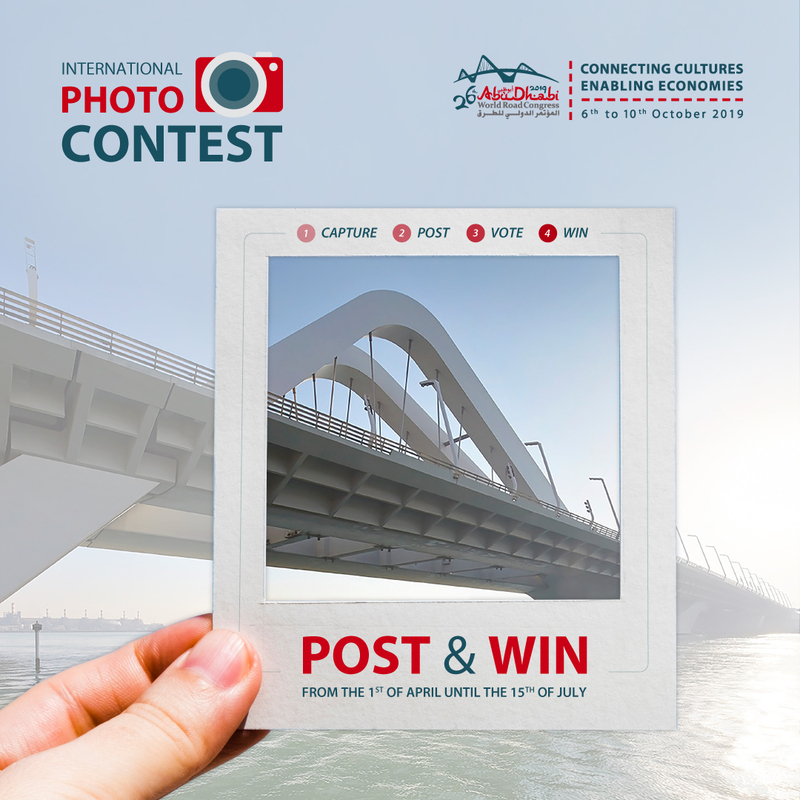 You can win one free pass (USD 1,500) to attend all the events of the 26th World Road Congress to be held - for the very first time in the Middle East – from 6th to 10th of October 2019 at ADNEC, Abu Dhabi, UAE. Get ready, take you camera and we wish you the best of luck to all of you !